What do you think about Instagram with ADS? Instagram has made it official, they will start showing ads inside their application. Actually, we were wondering when this time will come, but it actually came at the right time, because on the same day Twitter decided to go public with their business and all the attention was drawn towards this. 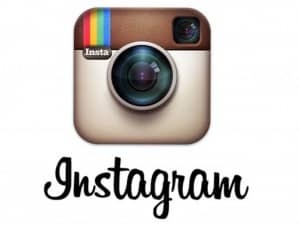 Instagram was purchased by Facebook for an astonishing $1 billion, and has now reached 150 million users world-wide. Until now, the app had no monetization model. Advertisements are the best and most used business model in this industry, but it is also what makes the user experience decrease. The problem with Instagram launching their advertisement program is exactly this. Will this decrease the user-experience on the app? Well, Instagram wants you to think it won’t. First of all, the company stated that they will start with showing only a few ads, and only from big, Instagram-friendly companies. They are also saying that the ads you will see will be enjoyable and creative, like the advertisements you see when you read a magazine. Therefore Instagram is entering a very risky territory, but with great caution. It was only logical that such a thing would happen. After spending a billion dollars on the thing, it would better make some money as well. We are hoping to see that Instagram remains the same app that we have been used to, and not ruined by annoying ads that make you wanna just close the thing and delete it.